Wen-Mei W. Hwu, the AMD Jerry Sanders Chair of Electrical and Computer Engineering at Illinois, will participate in a three-year, $2.6 million grant from the Department of Energy as part of a team from Oak Ridge National Laboratory, the University of Oregon, and Georgia Tech to design a Next-Generation Software Infrastructure for Productive Heterogeneous Exascale Computing. Principle Investigator of the UIUC GPU Center of Excellence, funded by NVIDIA at $1.5M in cash and equipment. The center has been seeded by the UIUC Institute of Advanced Computing Applications and Technology at $400,000. The Center offers a collaborative environment for faculty and staff from Physics, Bioengineering, Chemistry, Astronomy, ECE, Mechanical Engineering, and NCSA to apply the new inexpensive, massively parallel GPU computing devices to accelerate breakthroughs in critical science and engineering problems. 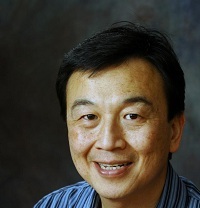 Co-Director of the UIUC Universal Parallel Computing Research Center (UPCRC), funded by Intel/Microsoft at $2M/year. The Center is also funded by a $8M match from UIUC. The Center offers a collaborative environment for 16 faculty and 22 graduate students from CS and ECE to work closely with Intel and Microsoft researchers to make parallel programming a ubiquitous practices. Co-PI of the NSF $208 Petascale Leadership Computer Project with $70 matching from the State of Illinois, which will bring the fastest computer for the NSF community to the UIUC campus in 2011. I was responsible for the hardware section of the proposal. As the base hardware specification forms up, I am leading the effort to adapt new accelerator technologies into Blue Waters to extend its capabilities and lifetime. Leader of the Concurrent Systems Design Theme of the MARCO FCRP Gigascale Systems Research Center, with 14 faculty from 8 universities (UIUC, UC Berkeley, University of Michigan, Ann Arbor, Princeton, CMU, MIT, U. Penn) and approximate budget of $2M/year for the Theme (www.gigascale.org). The Theme offers a collaborative environment for creating new programming models, frameworks, tools, and architectures to remove the major parallel programming cost for the entire semiconductor and computing industry. Co-lead of the Soft Systems Theme MARCO FCRP Gigascale Systems Research Center, with approximate budget of $1.1/year for the Theme (www.gigascale.org). The theme offered a collaborative environment for creating programming models and tools for the upcoming acceleration technologies such as many-core chip multiprocessors and FPGA-based reconfigurable computing devices. This Theme was re-organized into the Concurrent Theme in 2006. 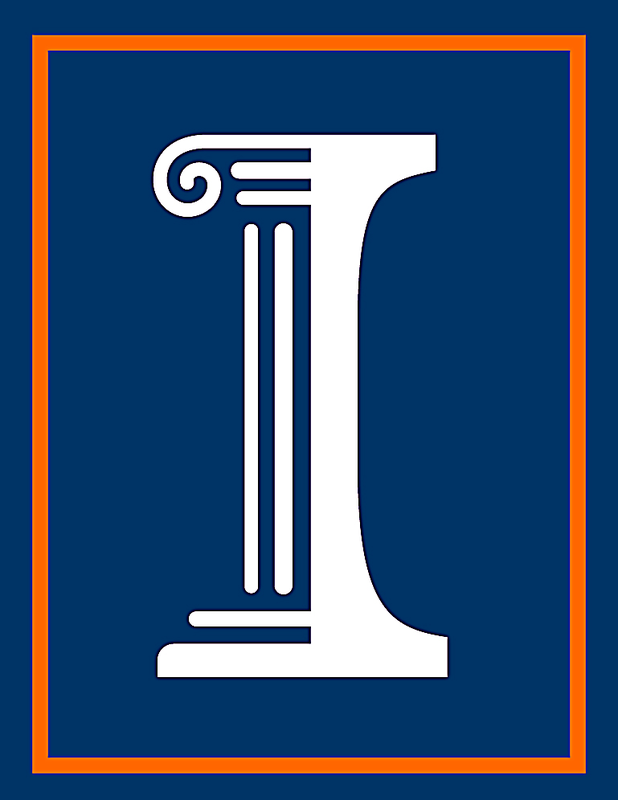 Principal Investigator, 2005-2008,$250,000/year, "UIUC Gelato Efforts." Co-Principal Investigator with Ravi Iyer and Bill Sanders, 2004-2007, $400,000 "Trustworthy Utility Fabric." Principal Investigator, Equipment Grant, 2002, $350,000, "McKinley Systems for GELATO Software Activities at UIUC/NCSA." Principal Investigator, Equipment Grant, 2002, $250,000, "Advanced Operating Structures for the Itanium Processor Family." Co-Principal Investigator with Dan Reed (NCSA), 2002-2004, $750,000, "UIUC Gelato Agreement with Hewlett-Packard." Principal Investigator, Equipment Grant 2002, $115,260, "Mobile Initiative, Stage II UIUC e-Service "
Principal Investigator, Equipment Grant 2001, $500,000, "Mobile Initiative: UIUC Campus Wireless Infrastructure." Principal Investigator, 1999-2003, $1,500,000, "Post-Link Optimization Technology for Future Server Architectures." Co-Principal Investigator with Thomas Conte (NCSU), 1999-2001, $1,000,000 ($667,000 to UIUC, $333,000 to NCSU), "EPIC Education." Principal Investigator, 1998-1999, $260,000, "Real-time Java System Technology." Principal Investigator, 1996-1999, $195.000, "Compiler and Debugger Support Debugging Optimized Code." Principal Investigator, 1995, $50,000, "Instruction-level Parallel Processing Technology." Gift, 1992-1998, $450,000, Equipment and software grant through HP’s Research Grants, program in recognition of Hwu's contribution in the areas of compiler optimization and RISC-based architecture. Principal Investigator, 1992-1995, $300,000, "New Compiler and Architecture Technology for PA and VLIW." Principle Investigator, 2005-present, $100,000/year, "UIUC Gelato Efforts." Principal Investigator, 1999-2002, $465,000, "Second-Generation EPIC Compiler Technology." Principal Investigator, 1997-2000, $90,000, "Intelligent Cache Hierarchy Management." Principal Investigator, 1995-1998, $180,000, "Predicated Execution Architectures." Gift, 1994, $9,928, Equipment gift in recognition of Hwu's contribution in the area of superscalar microprocessors. Principal Investigator, 1994-1997, $90,000, "Architecture and Compiler Techniques to Improve Performance Through ILP Discovery." Principal Investigator, 1992-1995, $90,000, "New X86 Architecture Directions and Compilation Technology." Gift, 1990-2000, $432,000, in recognition of Hwu's contribution in the areas of superscalar microprocessors. Principal Investigator, 1994-1998 contract, $600,000, "The IMPACT/X86 Compilation and Binary Reoptimization Technology." Principal Investigator, 2008-2010, Illinois GPU Center of Excellence, $500K in cash and $1.5M in GPU equipment. Principal Investigator, 2007-2009, GPU Acceleration of CAD algorithms, $50K. Principle Investigator, 2006-2009, $800,000, "UIUC involvement in the Center for Circuits, Systems, and Solutions." Principle Investigator, 2006-2009, $2,700,000, "UIUC involvement in the Gigascale Systems Research Center." Principle Investigator, 2001-2004, $2,500,000, Soft Systems Thrust, Center for Circuits, Systems, and Software. Principle Investigator, 2006-2009, $600,000, "UIUC involvement in the Center for Circuits, Systems, and Solutions." Co-Principal Investigator (with Thom Dunning, Rob Pennington, Marc Snir, Ed Siedel),2008-2011, $208M "Leadership Petascale Computer for the U.S. Science and Engineering Community"
Principle Investigator, 2006-2010, $500,000, NSF Computer Research Infrastructure Grant, "Trusted ILLIAC: A Configurable, Application-Aware, High-Performance Platform for Trustworthy Computing." Co-Principal Investigator with S. Adve, D. Padua, L. Kale, S. Patel, Equipment Grant, $120,000, "CISE Research Resources: Programming Environments and Applications for Clusters and Grids." Co-Principal Investigator, 2000-2003, $1,600,000, "ITR: Experimental Validation of Large-Scale Network Software." Principal Investigator, 1998-2000, $158,352, "A New Approach to Accurate and Efficient Pointer Analysis for Large C and Object Oriented Program." Principal Investigator, 1996-1998, $109,328, "Data Speculation for Instruction-Level Parallel Processing System." Principal Investigator, 1994, $6,000, Student Travel Grant for the 21s International Symposium on Computer Architecture, Chicago, Illinois, 1994. Principal Investigator, 1993-1995, $163,670, "Predicated and Speculative Execution Support for Instruction Level Parallel Processing." Co-PI with Yew and Bruner, 1993-1995, $367,599, "Improving the Performance of Scalable Shared- Memory Multiprocessors." Principal Investigator, 1988-1990, $70,000, "Integrating Compiler Technologies and Parallel Microarchitectures for High Performance Micro System Design." Principal Investigator, 1990-1997, $1,093,624, "The IMPACT Compiler Technology." Principal Investigator, 1999, $25,000, "Computer System Technology for Future High-Performance, Always Available, Versatile Switches." Principal Investigator, special purpose grant, 1995, $50,000, "Wireless Information Management." Principal Investigator, 1995, $25,000, "ILP techniques for future SPARC Technology." Gift, 1993, $150,000, in recognition of Hwu's contribution in the area of architecture research for superscalar, microprocessors. Principal Investigator, 1993-1994, $60,000, "Design and Analysis of A Superscalar Processor." Motorola (Co-PI with Liang Lui, CEE), 1999-, $60,000/year, "Architecture and Compiler Technology for Future Heterogeneous Multiprocessors for Telecommunication"
Motorola (Principal Investigator), 2000-, $60,000/year, "Architecture and Compiler Technology for Future Heterogeneous Multiprocessors for Telecommunication." MAZDA (Principal Investigator), 1992-1995, $150,000, "New Computer Architecture Directions for High performance Embedded Applications." Matsushita (Principal Investigator), 1991-1993 , $100,000, "Compilation technology for High Performance Parallel Processing Systems." ONR (Co-Principal Investigator with Prof. K. Fuchs), 1988-1994, $393,168, "Compiler Assisted Recovery for Fault-Tolerant Highly Parallel Multiprocessor Architectures." JSEP (Faculty Investigator), 1989-1995, $180,000 for research directed by W. W. Hwu, "High-Performance Systems Architecture." NASA (Faculty Investigator in ICLASS Center), 1987-1997, $4,000,000. ($300,000 for research directed by W. W. Hwu) "Compilation and Architecture for High Performance Parallel Systems." OpenIMPACT UIUC/NCSA Open Source License, 2002. IBM, Research Agreement and Source Code License, the IMPACT Compiler Software, 1998. Lucent Technologies, Research Agreement and Source Code License, the IMPACT Compiler Software,1997. Intel, Research Agreement and Source Code License, the IMPACT Compiler Software, 1995. AMD, Research Agreement and Source Code License, the IMPACT Compiler Software, 1994. Hewlett-Packard, Research Agreement and Source License, the IMPACT Compiler Software, 1993. Mazda, Source License, the IMPACT Compiler Software, 1994. Matsushita, Source License, the IMPACT Compiler Software, 1994. AT&T GIS, Source License, the IMPACT Compiler Software, 1993. SUN Microsystems, Source License, the IMPACT Compiler Software, 1993. ITRI, ROC, Source License, the IMPACT Compiler Software, 1992.